The 22nd annual Festival of Flutes was held in the UTSA Recital Hall on April 2. 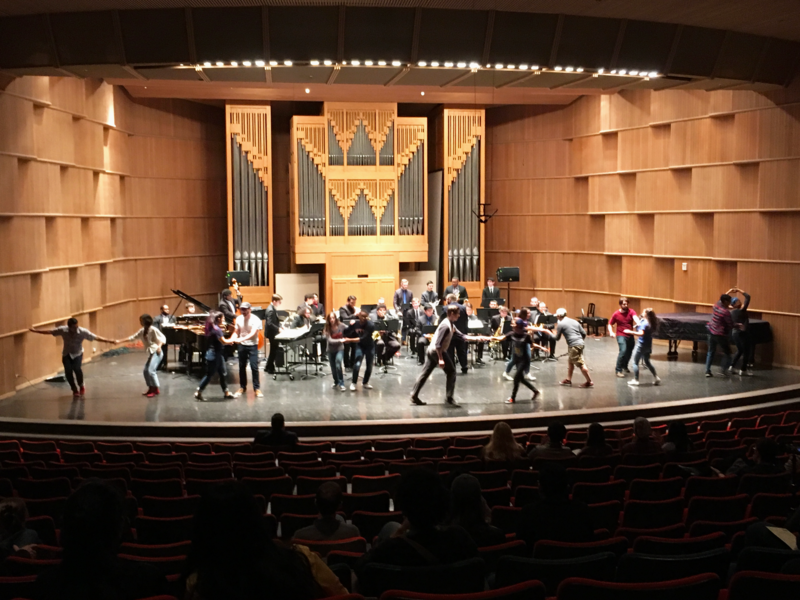 Flute ensembles from the University of the Incarnate Word, Texas Lutheran University and San Antonio College joined the UTSA flute ensemble in a celebration of the instrument and its history. The ensemble was conducted by a rotation of directors: Dr. Rita Linard of UTSA; Jeanne Gnecco of Texas Lutheran and Incarnate Word; Martha Fabrique from San Antonio College; and guest conductor C.J. Arguello. The festival began with two arrangements of J.D. Boismortier’s “Concerto No. 6 in E Minor” – first adagio followed by allegro. Lush sounds resonated across the auditorium as members of the ensemble began to enter the warm melody one by one. After a short pause, the tempo immediately changed into a strident call and response of overlapping melody. The piece continued with the addition of counter-melodies and harmonies and into a fervent whirlwind of sound before returning back to the stately melody played at the beginning of the arrangement. After a round of applause, members of the ensemble stood and changed spots within the group; some exchanged alto flutes for tenor and bass flutes as Dr. Linard introduced the second piece and welcomed the evening’s guest conductor and assistant, C.J. Arguello. “The second piece ‘By Kells Waters’ [arranged by Kelly Via] is a traditional Irish tune you might not know, but you’ll know that it’s Irish as soon as we start playing,” Dr. Linard said. Low, breathy notes triumphantly flowed over one another before bright Celtic harmonies nestled themselves atop the bassline for several measures. After a commanding pause, the low notes welcomed themselves to the forefront again before decrescendoing into silence. “So next on our program is another piece written by a young composer who happens to be in our group. Dominic wrote this [piece] last year, not for us, but originally for string quartet. We’ve been playing it a lot this year,” Dr. Linard said. Staccato notes introduced the piece as full, breathy melodies from the piccolos entered soon after. Soon, the ensemble played locomotive-like notes before other members began fluttering trills to break the horn-like sound. “[This piece] is an English folk song. You might know a few words from it from Simon and Garfunkel. 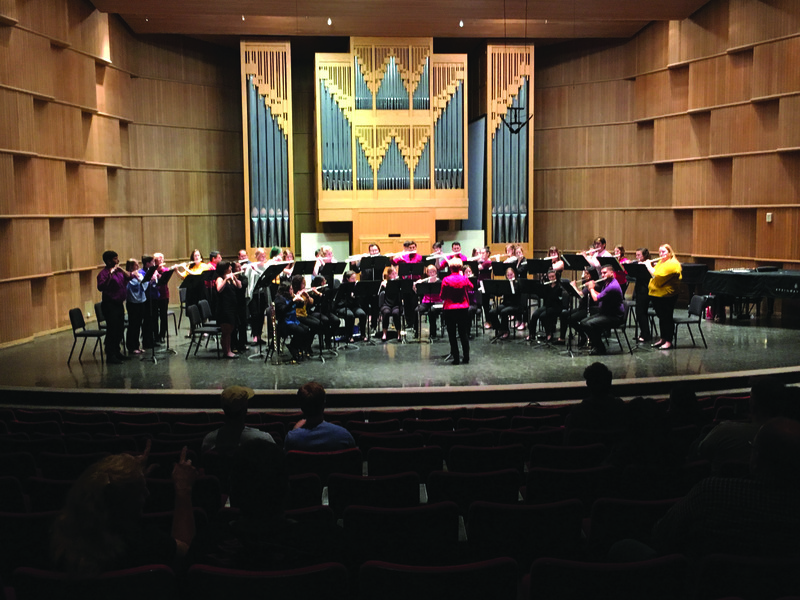 [This piece] features the low flutes and once they start playing, they never stop,” Dr. Linard said. “At the national flute convention closing ceremonies we always close with this piece, so that became our tradition. We also do it in memory of people we’ve lost,” Dr. Linard said. 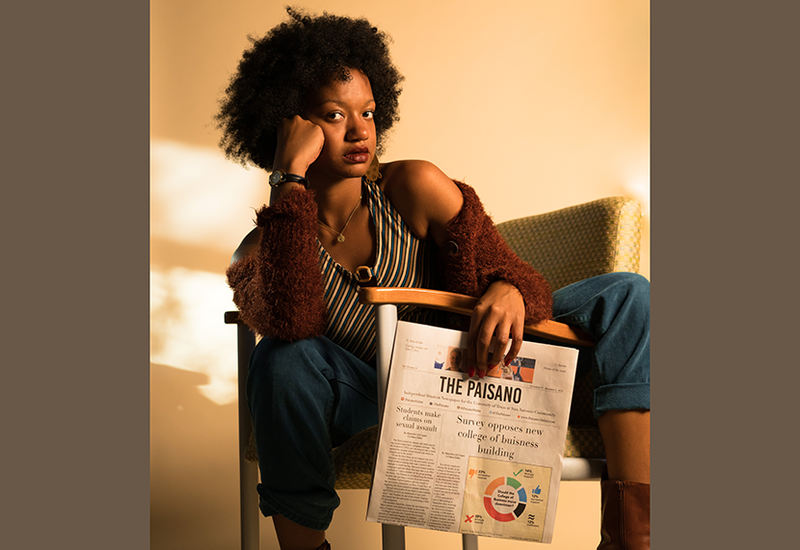 Flourishing melodies played over breathy bass tones leaving the audience with a profound feeling of wistfulness for past times and simultaneous appreciation for those present in their lives. For more information about the UTSA Music department, visit music.utsa.edu.